Yildiray Cinar, current Fury of Firestorm artist, posted this sketch to Twitter back in October. 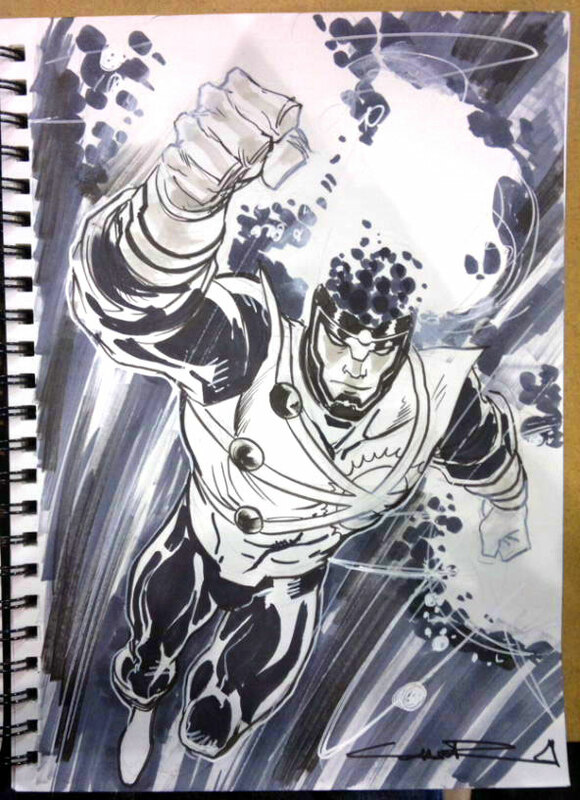 It’s a commission he did at the New York Comic-Con of the Brightest Day version of Firestorm. It’s gorgeous, isn’t it?!?! We’ve now seen a few Brightest Day Firestorm sketches by Yildiray Cinar. You can check out other Brightest Day Firestorm artwork by Yildiray by clicking here, clicking here, or clicking here. Awesome stuff! Sort of makes me sad he never got a chance to draw a post-Brightest Day Firestorm comic. Posted in: Brightest Day, Firestorm #08: Brightest Day (Ronnie/Jason), Sketch/Art, Yildiray Cinar.